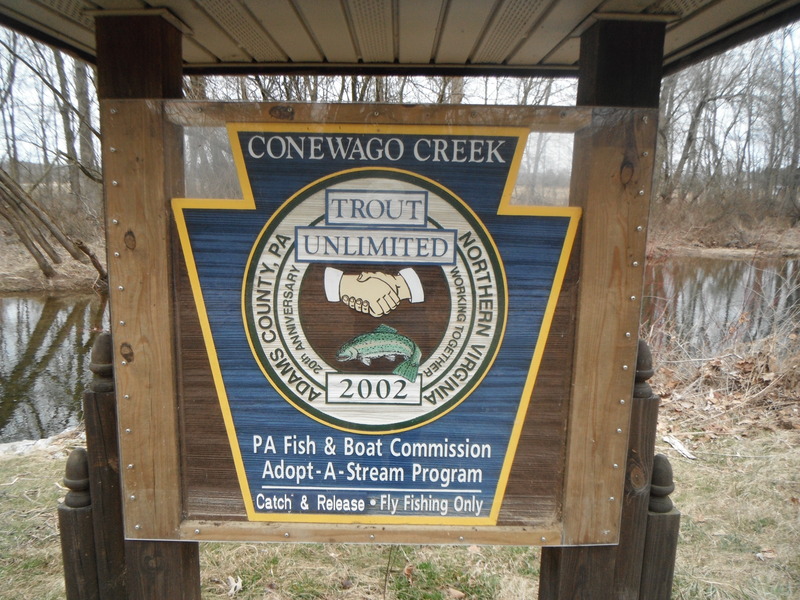 Conewago Creek is located in Biglerville, Pa and has a “catch and release” fly fishing only project area. Went there today without the expectation of seeing fish rising, but was pleasantly surprised. I found a pool upstream from the project sign with fish actively rising(sipping). I started with a BWO and caught a 16″ rainbow after many refusals. I saw some small stoneflies on the water, but the trout refused larger flies so I changed to a #24 ICSI (I can see it) midge. There were still many refusals, but I did catch 5 more and lost a couple. Still cool weather and too much wind, but it was great getting out. Ran into quite a few fisherman who were having some success on nymphs and green weenies. Conewago is a beautiful freestone stream with repeated riffle/pools through the entire “catch and release” section. Give it a try…you won’t be disappointed. 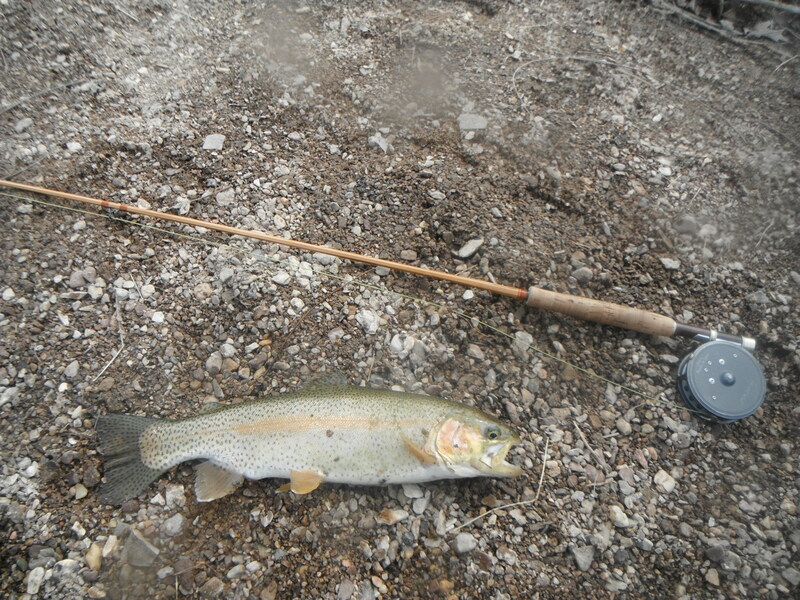 Caught 2 rainbows in the 15″ category. That’s the good news. The bad news is that I got skunked the next day…but, hey, that’s fishing!